Students practise vocabulary related to personality traits. They match the words to the pictures, match them to the their definitions, complete sentences, they also write synonyms and opposites. Key is included. This printable, downloadable handout was created for high school students, elementary school students and adults at Elementary (A1), Pre-intermediate (A2) and Intermediate (B1) level. 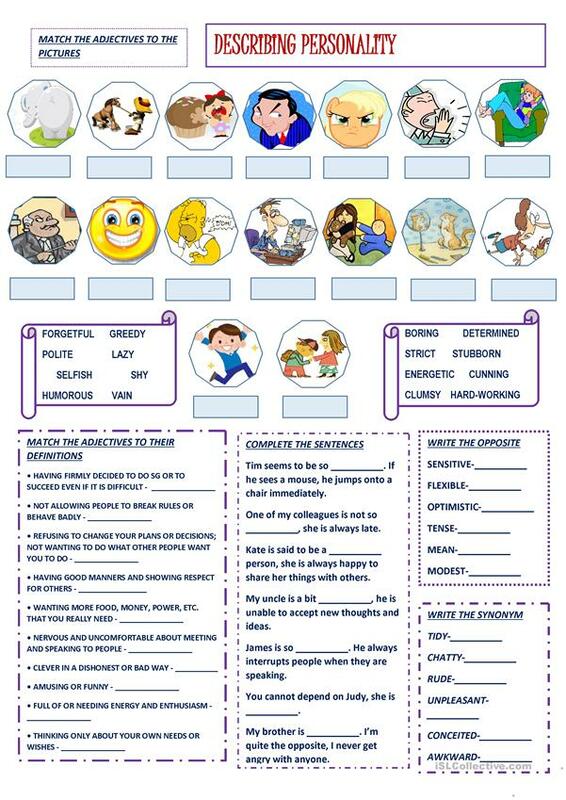 It is aimed at teaching Adjectives and Adjectives to describe personality and character in English, and is a valuable material for enhancing your pupils' Spelling, Speaking and Writing skills. 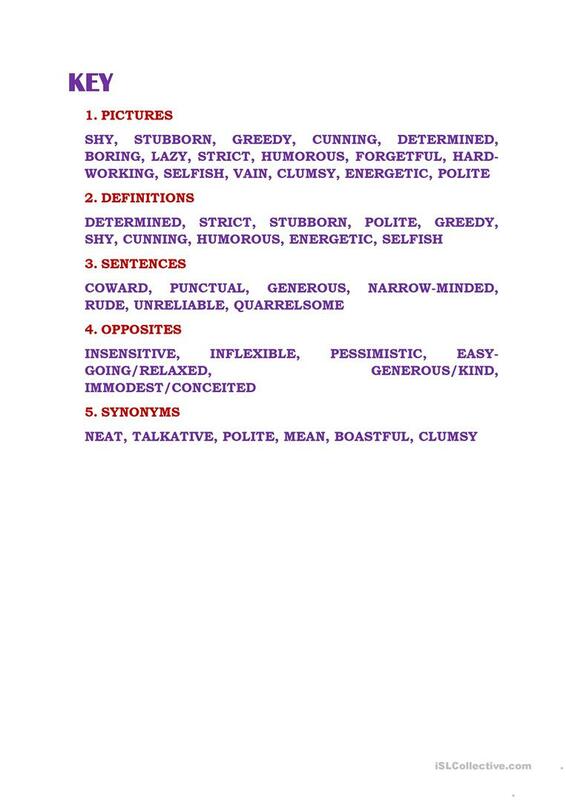 It is about the vocabulary topic of Describing people and Personality and character. The solutions are provided, too.